Citizens of Albania have received tangible benefits and the programme has had a positive impact on the approximation to the European standards in the fields of justice, anti-discrimination and fightagainst corruption in the country – this was a conclusion of the third Beneficiary Steering Committee of the joint European Union/Council of Europe Programme “Horizontal Facility for the Western Balkans and Turkey” held in Tirana today. Beneficiary institutions of the programme in Albania gathered to summarise what has been achieved over the past three years. Sokol Dedja, Deputy Minister for Europe and Foreign Affairs underlined the political importance of the areas supported by this program. “The rule of law, the fight against economic crime, corruption, and the protection of huma nrights are at the heart of the European integration process. They have direct impact on improving the daily lives of our citizens. Therefore, i tis important to strengthen the proactive role of our institutions that benefit from the Horizontal Facility”, he concluded. “With the adoption of the European Commission Strategy for the Western Balkans in February 2018, and the Sofia Summit Declaration of May 2018 reinforcing the EU commitment to the Western Balkans region, the areas supported by the Horizontal Facility have been confirmed as essential to enable the region to become part of a stable, strong and united Europe,” said Mario Mariani, Head of Co-operation in the Delegation of the European Union to Albania. Verena Taylor, Director of the Office of the Directorate General of Programmes of the Council of Europe said that “the European Union and the Council of Europe share the same values. They work to translate human rights, rule of law and good governance into concrete actions to improve the citizens’ everyday lives.“ She recognised the partnership and co-operation among the EU, Council of Europe and Albanian authorities as one of the crucial dimensions of the programme and expressed expectation that in the second phase of the Horizontal Facility programme the role of the civil society, as another important partner,will be strengthened. Actions under the Horizontal Facility in Albania have achieved many notable results. Important work has been done to improve conditions and the provision of health care in prisons, especially to the prisoners with mental health problems. Judicial reform process has advanced, ensuring better quality and the efficiency of justice for citizens of Albania and the programme helped improve the current case management system, so that a significant number of old cases have been closed at the Lezha District Court and the Court of Appeal. Also, progress has been made in strengthening legislation on political party financing – new provisions were applied for the 2017 parliamentary elections and thanks to these campaign costs were reduced. Fighting corruption and organised crime isalsoa key priority for the EU integration agenda – this programme contributed to it by increasing transparency and accountability of institutions and public officials. There are numerous achievements in other areas, as well. Creating a safe learning environment through fighting bullying and extremism in the education system was in the focus of one of the seven Horizontal Facility actions in Albania and 21 November has been designated as the National Day against Bullying in School in the country. 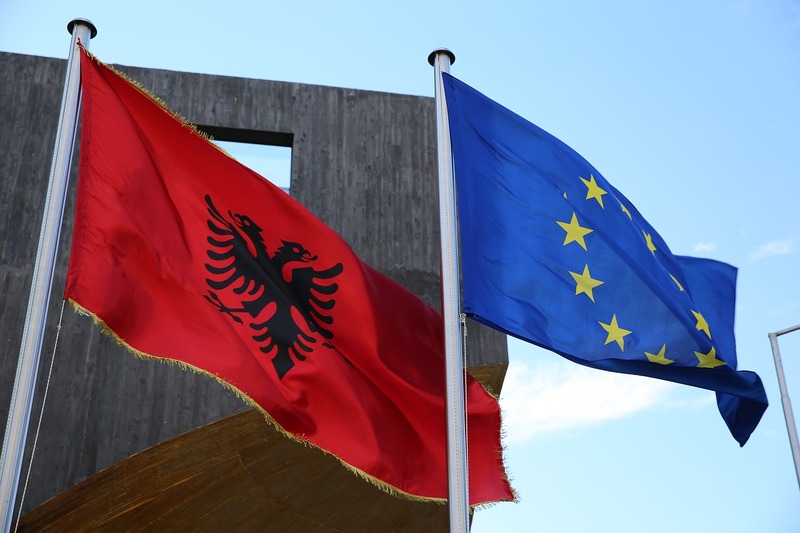 The programme supported authorities in implementing the recommendations issued by the European Commission against Racism and Intolerance (ECRI) regarding LGBTI issues in Albania. Representatives of the beneficiary institutions directly involved in the implementation of this joint programme of the European Union and Council of Europe, as well as civil society organisations, took part in the event. The three-year Horizontal Facility programme runs from May 2016 to May 2019; it aims to assist authorities in the South-East Europe in achieving greater compliance with European standards in the following key areas: ensuring justice, fighting economic crime, as well as combating discrimination and protecting rights of vulnerable groups. In Albania, 4.75 million euros have been allocated for seven actions, covering all the key areas of the Horizontal Facility.